I know, my redesigns used to have a pseudo-profound reasoning. This one doesn't, I assure you. I simply find moai exceedingly fascinating. 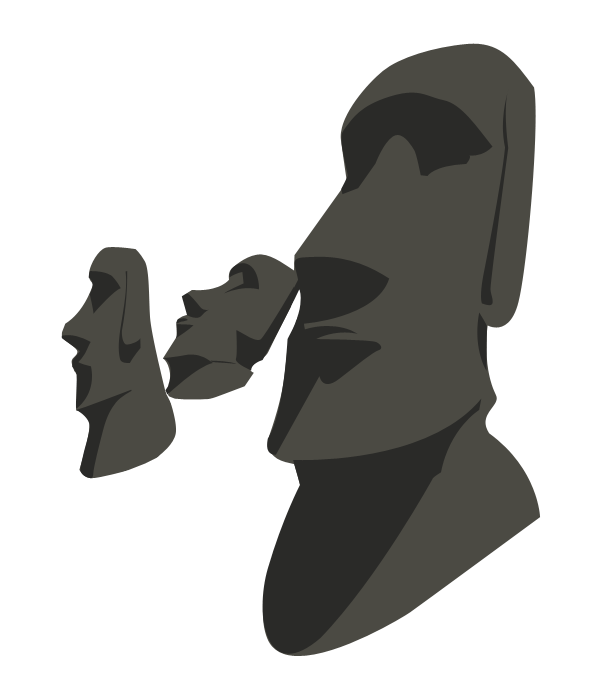 That's why this entire redesigned layout you're now looking at (provided you've stepped out of your feedreader) is dedicated to the awesomeness seeping from every crevasse of Easter Island. Which unfortunately I haven't been to, but plan to visit. At some point. Because I've found Twitter (follow me!) to be endlessly fascinating, not only are "Tweetbacks" added as comments (see my V post for examples) but on single posts you can now click "tweet this" in the same passive-aggressive manner that all the young hipsters do. Work and play is now completely separate, this blog being "play". Except of course, for the huge blue sticker advertising my work site. 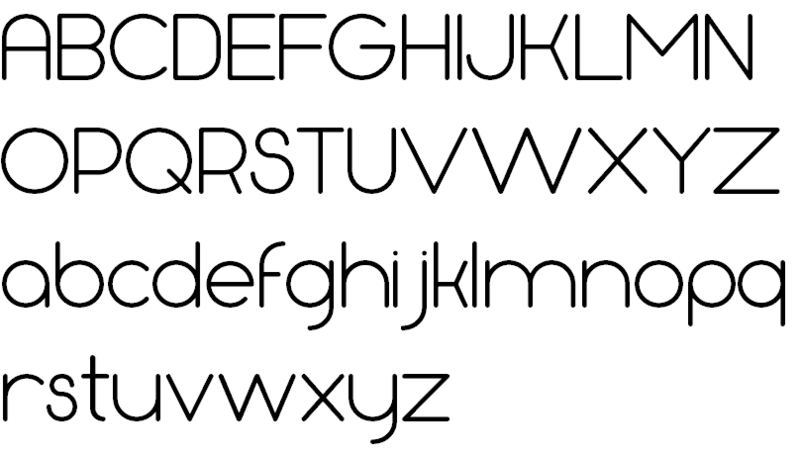 I started work on my own font, (mostly because I can, now that the cool browser can embed fonts for real), but ended up using the beautiful(ler) BPreplay by George Triantafyllakos. I've even exploded the size of the headings now that I can use such a pretty font. In the course of my rather WordPress centric freelance adventure, I've built quite a few open-source WordPress things. That's why there's now a dedicated section, right next to Skyler the silent moai. You'll also no doubt (which is the point) notice the links to recent stuff tagged 'something' right at the top of the page. That's a custom-made widget which grabs most recently updated posts. Comments are now off by default (more on that later). I ditched my poster section, but it'll probably reappear later in some form. There's no longer a CSS style switcher (and it's not coming back). This is the design, and it's staying for a while. That's it. Let there be rock. I absolutely love it. This is your best design yet Joen. The imagery is awesome. Hat’s off to you sir. Jonathan Hollin: This is your best design yet Joen. I finally step out of my feed reader, which is a rare occasion, and I love what I see. Great job on the redesign. I have to agree with Jonathan above; this is your best design yet (in my opinion). The colours are great, very subtle but interesting and I love how it all ties together. Clever how you managed to integrate the ‘latest images’ into the background and I really like the way the ‘notable’ section folds out to the side when browser resolution is high enough. Sadly the latest version of Chrome doesn’t have embedded fonts enabled, so I’m missing out there, but looks great in Firefox and Safari. Very cool to see your ‘in-progress’ animation, I like the way it grew over time, every step was good, but the next was always better. Congratulations Joen, you’ve done an amazing job. Levi: Clever how you managed to integrate the ‘latest images’ into the background and I really like the way the ‘notable’ section folds out to the side when browser resolution is high enough. Levi: Sadly the latest version of Chrome doesn’t have embedded fonts enabled, so I’m missing out there, but looks great in Firefox and Safari. Yeah that’s one of those “get with the program guys” issues with Chrome. That should work until they’re enabled by default. Does for me. Joen: If you’re on Windows, however, you can enable them. Rightclick your chrome shortcut, and right after the app path where it says “chrome.exe”, add –enable-remote-fontsThat should work until they’re enabled by default. Does for me.Thanks again. There we go, the article I read on it earlier had “font” rather than “fonts” — working beautifully now! Your Turtleshell website… I can’t even describe… so beautiful. I really fell in love with that website when I was younger. The music, the animations, the color schemes, everything. I really was immersed when I visited. One of the best flash sites in web history. Keep up the good work! Thanks guys, as always it’s extremely appreciated.